Yesterday there was an article in The Globe about a "Dreamachine." This is a device that has been around in some form or other for over 50 years. Well, two Canadians from Ft. Erie and Niagara Falls, respectively - have decided to do a commercial run of about 650 machines that will be available on-line for about $400.00. Gotta have one!!! Basically a Dreamachine is a lamp - such as a table lamp that has a "lamp shade" with various cut outs on it. When the machine is turned on, the shade rotates at a speed of 78 rpm - maybe a use for old turntables - the resulting patterns are said to create a significant neurological change in the brain of anyone sitting close to the lamp with eyes closed. Timothy Leary used one as did, Iggy Pop, David Bowie and Kurt Cobain to mention a few. 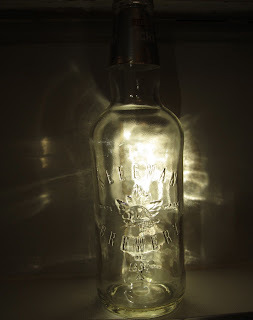 It apparently creates something similar to an LSD experience in that it opens other worlds to the imbiber - can I say that when it's just light? Margaret Atwood was given one and said that it was good for "lateral jumps" in the thought process and also good for overcoming writer's block - if you have one. I'm sure that Margaret has never had writer's block :) When asked about the machine's cosmic claims, she said that so far there was nothing; but, "I'll write home when I get there. "...always a good sport!! Anyway the article is in the Arts section of The Globe & Mail for Thursday Nov 1, 2012. I probably can't link to it, as you now you have to sign in and pay to read on-line. I get to read on-line free because I still subscribe to the daily rag - but others - well you'll have to try and see. The article is a great read about how an idea comes together with the two people actually developing the product. It's a case of the Dreamachine mechanics jump starting ideas and lots of Deja Vu and happenstance - you know the stuff engineers and other vertical thinkers never experience. 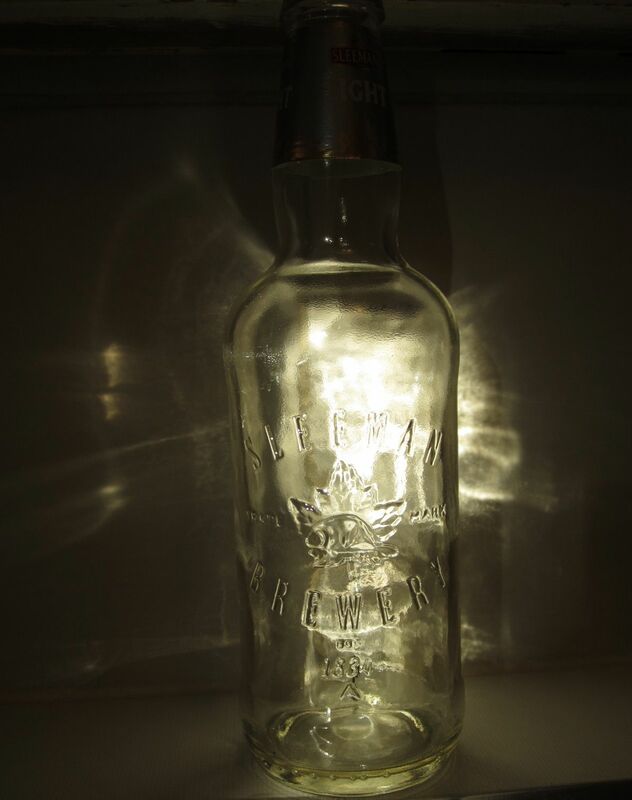 Light through a bottle - not actually a dreamachine; but maybe a little lateral thinking, definitely surreal. Postcards from the edge - maybe.